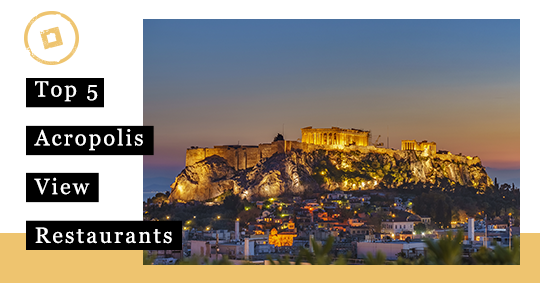 Athens offers a great array of fine dining restaurants, bistros and taverns serving everything from traditional Greek cuisine to international gourmet proposals at some of the most enchanting locations of the city. You may savor fresh fish by the sea or fine dining inspirations by the pool, pizza and pasta in the stylish air-conditioned interiors of an Italian trattoria or an American casual dining joint or tantalize your palates with refined Mediterranean flavors under the open sky. No matter what your dining choice may be there is also another thing to consider…the view. What about the Acropolis, the Parthenon and the Ancient Agora? Wouldn’t that be a treat? 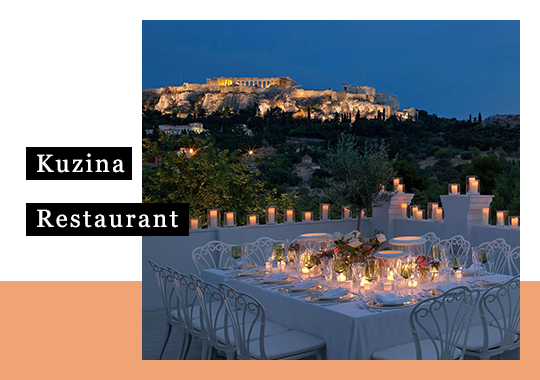 Let’s discover the top 5 Acropolis-view restaurants to enjoy your meal while in Athens. 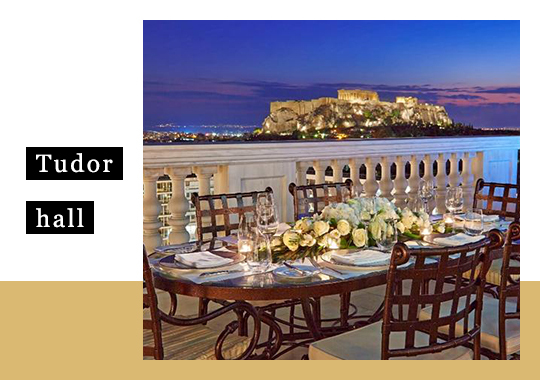 The King George hotel welcomes you to savor the most authentic Greek seasonal dishes with a modern twist at the Tudor Hall Restaurant while gazing at the miraculous vistas to the Acropolis. 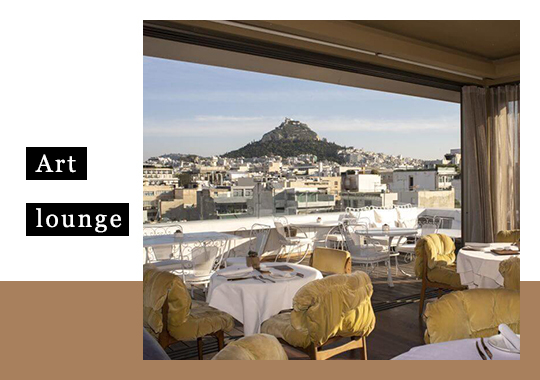 The Art Lounge Rooftop bar-restaurant of New Hotel bridges together the most outstanding dining proposals with an iconic favela setting adorned with fine art and incredible views to the Acropolis. 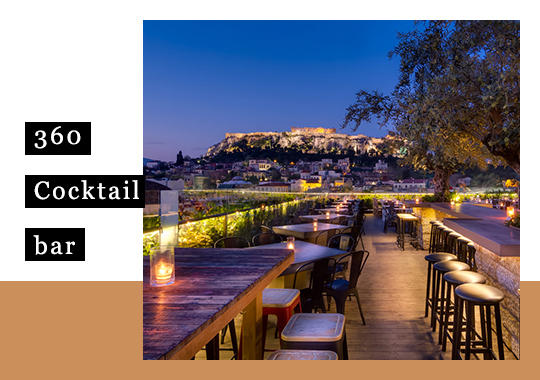 Offering a 360 view over the Acropolis and the center of Athens, the 360 Cocktail Bar has become the ultimate hub for casual dining and cocktails in the heart of Athens. 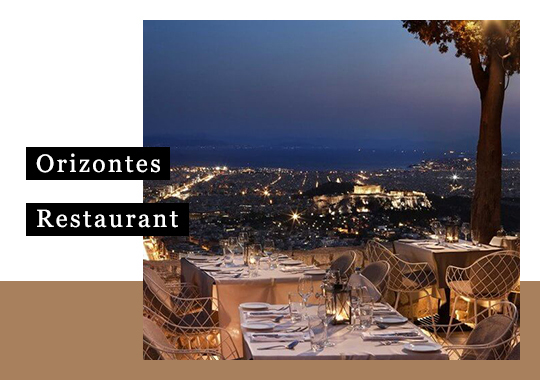 Featuring a panoramic view of the Acropolis and all of Athens from Lycabettus Hill, Orizontes restaurant will steal your heart with its exquisite atmosphere, incredible vistas and gourmet inspirations. A precious jewel under the temple of Hephaestus offering the most delicious gourmet delights in a cozy setting on the terrace overlooking the Acropolis. Walk through the busy streets, the back alleys, the ancient sites and stores, feel the vibrancy of the city and when you are about ready to take in some more of its essence head to one of the top Acropolis-view restaurants and savor the exceptional flavors, the majestic atmosphere and incredible views to the Acropolis! This entry was posted in Athens, Cycladia Posts, Destinations, Gastronomy, Tourism Insight and tagged gastronomy, greece. Bookmark the permalink.